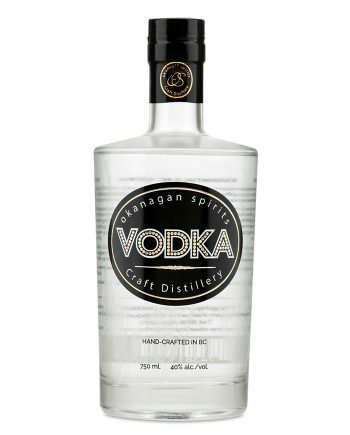 Our premium 100% field-to-flask Gin is handcrafted at our flagship distillery in Vernon to showcase the Okanagan terroir. The journey begins with the annual grain harvest just a few kilometers from our family distillery. We then hand-grind, ferment, and distill on site, using our state of the art, 50-plate, copper-pot still to ensure absolute purity. Our blend of botanicals—many of which come straight from our Master Distiller’s garden—are then added to the spirit, which is then re-distilled. 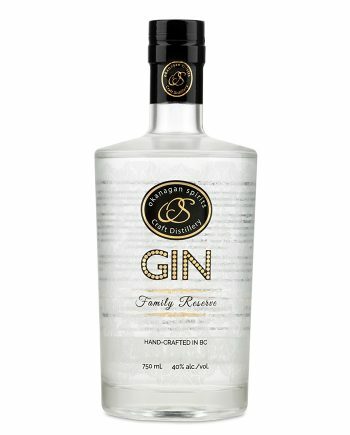 Okanagan Spirits Essential Collection gin salutes the local herbs and botanicals that grow in the Okanagan region as well as introduces a few of the exotic Gin classics. Juniper forward with spruce tip overtones, coriander to balance, rhubarb for past good memories, orris for a fleeting moment, violet flower for some and rose because we like rose to balance the silky smooth texture. 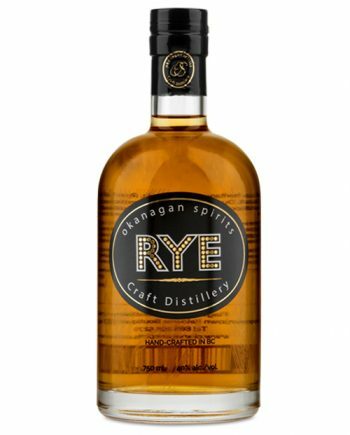 The spiciness of our local grain adds strength to balance the tempering floral overtones. Neat on ice or further developed in a symbiotic relationship with a citrus-based tonic we invite you to experience the exceptional. *Our Gin bottles are etched in Vernon, B.C with real gold in the ‘GIN’ labelling. These bottles are eligible for a bottle return with a reward of $4 towards your next purchase at either of our Kelowna and Vernon locations.